NASA's Cassini spacecraft recently completed it's 14th flyby of Saturn's largest moon Titan. It's hard to believe that it has already completed so many flyby's and returned data that is changing our understanding of this amazing world. 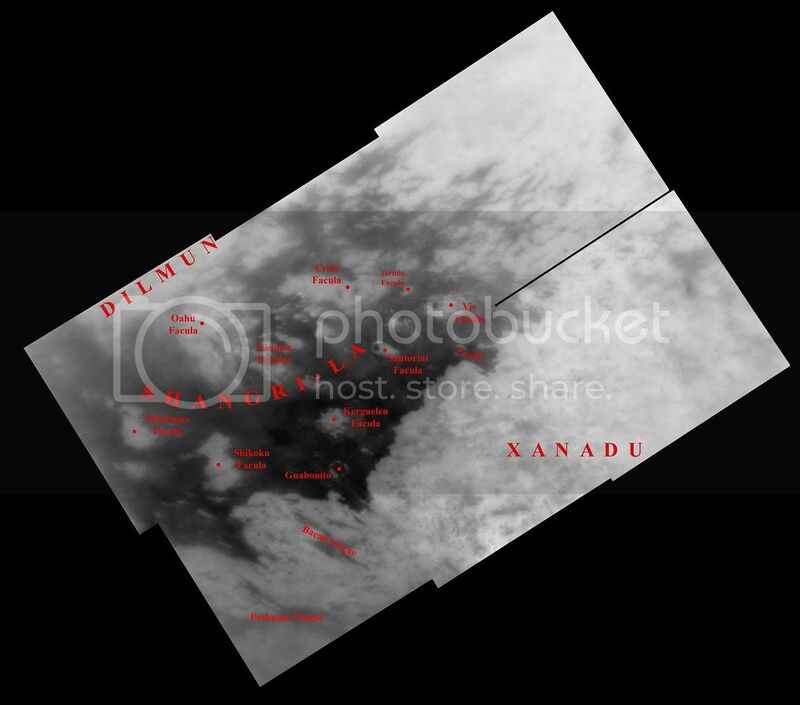 These radar images from the most recent flyby show surface features in the Xanadu region of Titan's surface. 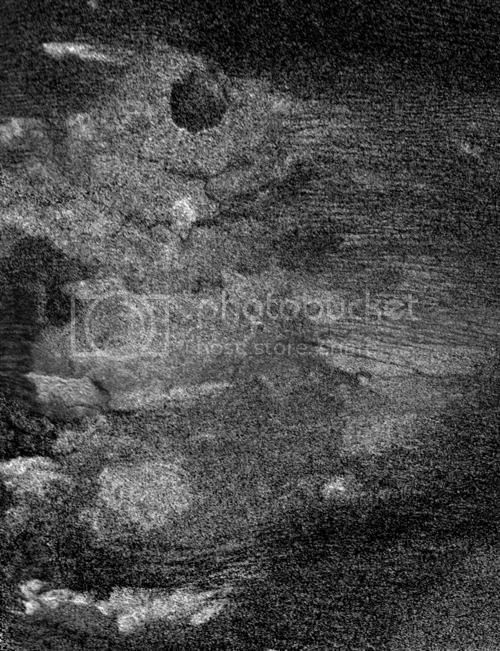 The image above is of Shikoku Facula, a region that is bright in both radar and visible wavelengths. 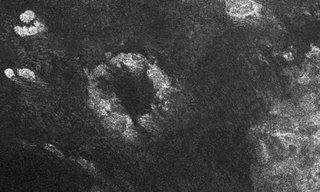 The feature appears as an 'island' in the dark Shangri-La region next to Xanada, and was dubbed 'Great Britain' because of its appearance in visible light at lower resolutions. For a labelled view of the whole region click here. 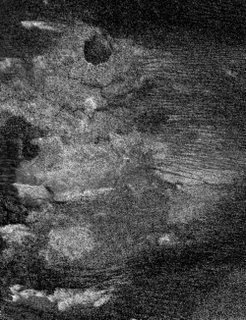 Analysis of radar data has lead scientists to conclude that the dark regions once thought to be liquid oceans, are in fact composed of large sand dunes. See this article.